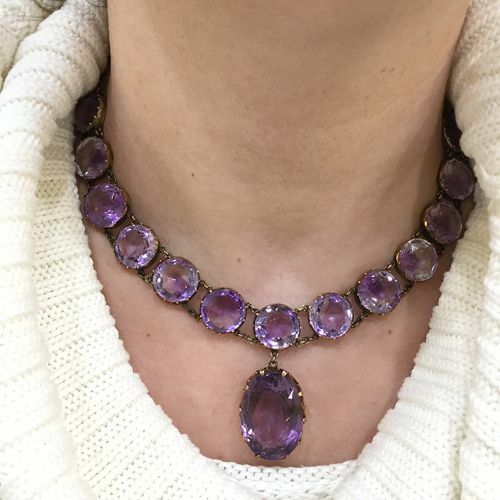 A beautiful vintage 14kt yellow gold necklace featuring 1 oval faceted cut medium purple amethyst, est. 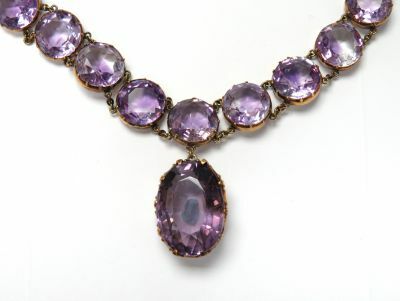 41.20ct and 13 round faceted cut pale-to-medium purple amethysts, est. 93.22ct. It is approx. 21 inches (53.34cm) in length.